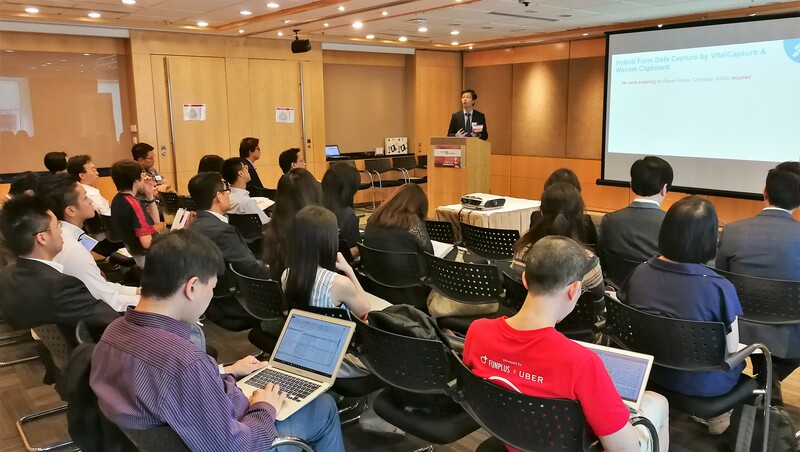 Hong Kong, July 27, 2017 - To introduce the latest trends of document management and business intelligence (BI) reporting for driving strategic human resources (HR) management with automation, C&T held a seminar at Regus Central on the afternoon of Jul 27 with speakers from the fields of information technology, human resources management and data management to share their insights with HR and IT professionals. The seminar started with a practical talk by Mr. Tommy Choi (Business Development Manager, Computer And Technologies Software (Hong Kong) Limited) on how employee record management, data retention and other HR processes benefit from automation through data management system of VITOVA EIM. Followed by the session about data capturing, Mr. Alan Ma (Sales Director, IPL Research Limited) gave the audience an informative talk on the latest trends of HR technologies and conducted a live demonstration of IPL HRMS’s BI reporting tools to improve data analysis. 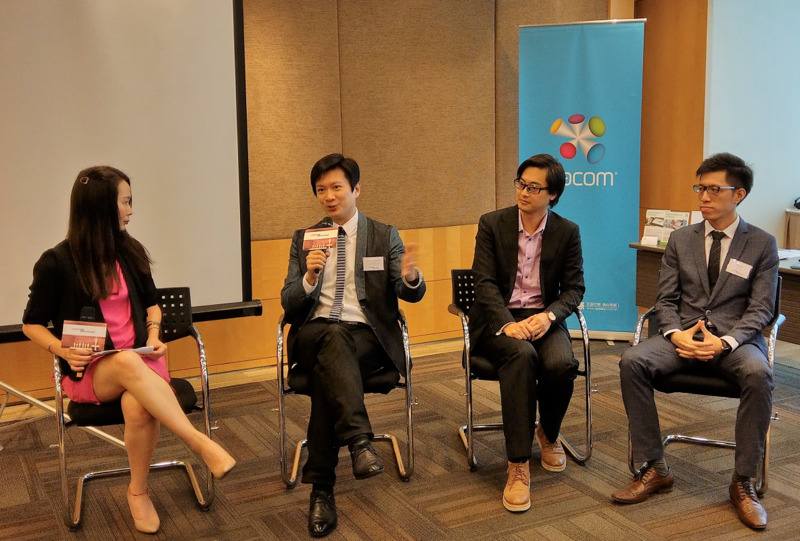 An interactive panel discussion created an opportunity to get in touch with speakers. Dr. Jason Chan Kai Yue, JP (Head of IT, the Hong Kong Polytechnic University, CPCE), as the honorable guest shared his remarkable experience in building the HRIS for CPCE and his knowledge of artificial intelligence, big data and strategic HR planning. The audience showed keen interest in automated HR processes with the application of data management systems and human resources management systems. The speakers and audience also had an in-depth exchange during the panel discussion session. Through this seminar, C&T provided an occasion for HR and IT professionals to better understand how to apply the latest technologies to catch up with the trends of HR automation. More importantly, this is an opportunity to know more about the expectations from users’ perspective to enhance software product-mix in order to help enterprises achieve strategic people management with automation and intelligence.